Chennai Mathematical Institute Admission 2018 application process has started for the admission in B.Sc, M.Sc and PhD programme. The last date to apply for the Chennai Mathematical Institute B.Sc programme is 7 April 2018. Therefore, the candidates are advised to fill the application form on or before the due date. The candidates can find the link to apply online in the application section on this page below. Get complete details on Chennai Mathematical Institute Admission 2018 such as important dates, eligibility criteria, application process, fee structure, exam pattern, etc. on this page. Latest Update - Chennai Mathematical Institute (CMI) result for BSc, MSc and PhD have been declared. The link to check the result is given towards the end of this page. Chennai Mathematical Institute is a centre for teaching and research in the mathematical sciences. 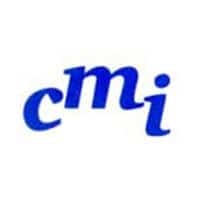 CMI is managed by governing council consisting of prominent persons. CMI is a public-private partnership in research and education in India. Chennai Mathematical Institute is a centre of excellence for teaching and the research in the mathematical sciences. The key areas of research at CMI Chennai are Mathematics, Computer Science, and Physics. In addition to the PhD program, the Institute offers admission in BSc in Computer Science and Mathematics as well as Physics, along with MSc programs in Mathematics and Computer Science. Note: The direct interview for PhD Mathematics programme will be based on NBHM (if candidates are been awarded the NBHM PhD Fellowship) and for PhD (Computer Science & Physics) will be based on JEST-2018. For NBHM: Such candidate has to fill out the form, pay the application fee, and send an email to phdmath2018@cmi.ac.in attaching a scanned copy of your NBHM scorecard along with your BSc and MSc academic transcripts. For JEST: The candidate has to fill out the form, pay the application fee, and send an email to phdcs2018@cmi.ac.in and phdphy2018@cmi.ac.in for Computer science and Physics respectively to inform that they have written JEST. The Institute receives significant private funding, side by side with substantial financial support from the Government of India. CMI Chennai will conduct a common entrance exam for all the programme mentioned below. B.Sc. (Hons.) in Mathematics and Computer Science (3-year course). The eligibility criteria for B.Sc, M.Sc and PhD programmes are given below separately. Candidates who have already passed, or expect to move in 2018, Class 12 or equivalent examination from a recognized board are eligible for admission to the programme. Candidate must have passed Class 12 or equivalent examination from a recognized board. Candidates who are appearing for the qualifying examination in March 2018 may also apply for the admission. Candidate must have an undergraduate degree (BA, BSc, BE, BTech, …) from a strong background in Mathematics for admission in M.Sc Mathematics, in Computer Science for admission into M.Sc Computer Science and in mathematics/statistics/computer science for admission in M.Sc Data Science. Candidate must have the degree in B.E./B.Tech/B.Sc.(Math)/M.Sc. (Math) for applying in PhD Mathematics. Candidate must have the degree in B.E/B.Tech/M.Sc.(C.S. )/M.C.A for applying in PhD Computer Science. Candidate must have the degree in B.E./B.Tech/B.Sc.(Physics)/M.Sc. (Physics) for applying in PhD Physics. The candidates with excellent performance in National Science Olympiads like NSEJS may be exempted from writing the entrance exam at the discretion of the Admissions Committee. The application process for admission in Chennai Mathematical Institute has started from 5 March 2018. The details regarding this are provided on this page. There will be a common entrance examination for both the B.Sc.(Hons.) programmes. Candidate need not choose between B.Sc (Hons) Mathematics and Computer Science and B.Sc (Hons) Mathematics and Physics at the time of applying. The choice can be made after admission. The application process for CMI B.Sc, M.Sc and PhD admission has been started on the official website. The link to apply online is given below, the candidates are advised to apply online on or before the due date. The last date to fill the application form is 7 April 2018. There are two ways to apply for admission in Chennai Mathematical Institute. Candidate can either apply online or can request for printed application form by post or in-person. The details for filling the form by both the ways are given below. Candidates may fill the online application form following the link given above on this page. To obtain an online form, you need a CMI UG 2018 Applicant ID and password. The application fee is Rs. 750 for the online application form. The Candidate has to enter their e-mail id first and submit that on the CMI Chennai website. Applicants will receive a confirmation mail on their e-mail address. Upon verification of the e-mail, the candidates will receive the CMI UG 2018 Applicant Id and Password. After that, the candidate can fill the CMI Entrance Exam Online Application Form. For online MSc/PhD applications, there are four categories of subjects. Candidate can fill multiple categories for CMI PG programme. The combination is given below. The application fee will be Rs. 750 for single category and Rs. 900 for multiple categories. The PIN code for CMI has changed from 603103 to 600130. If the post office/courier company does not recognize 600130, try 603103. To obtain the CMI Application Form, the candidates need to send the demand draft from any bank at the address given below. If candidate pay by DD, the application fee has to be sent along with a printed Payment Advice generated through the application form. The Chennai Mathematical Institute Admit Card will be available online from 30 April 2018. Admit Card will be available on the official website only for those eligible candidates who have submitted their duly filled application forms before the due date. Candidates are advised to check the details like name of the students, exam centre, exam dates etc. on the printed admit card. Admit card will not be dispatched through the post to the candidates, so no correspondence in this regard will be considered. The application fee for the CMI B.Sc Course is given in the table below. The application fee for the B.Sc Online and B. Sc Offline is different. The application fees have to be paid through Demand Draft in favour of Chennai Mathematical Institute, drawn on any bank, payable at Chennai. The candidates must note that CMI Application Fee is not refundable. The tuition fee for B.Sc. programme and M.Sc (Mathematics & Computer) is Rs. 1,00,000 per semester. And for M.Sc Data Science, it will be Rs. 2,00,000 per semester. There are two semesters in a year. The candidates need to pay the required fees decided by the Institute. No exemption would be claimed against the payments of the course fee. Each and every candidate has to make the payment of the course to get admission in Chennai Mathematical Institute. Candidates will be shortlisted on the basis of their performance in entrance examination which was held on 15 May 2018. CMI Result 2018 for the following courses have been declared. The interview details are also given along with the result. However, the result for the MSc (Computer Science) and PhD Computer Science and Physics are awaited. The topics which are described in detail would be asked in CMI Entrance Examination. Each and every concept is described briefly. Candidates can follow the link for Chennai Mathetics Insititute Syllabus for BSc, MSc and PhD courses. The references to books to prepare for the same is also given. Candidates are advised to solve the previous year question paper by following the link given towards the end of the page. MSc Data Science is newly introduced courses added this year so there is no sample paper for this, however, candidates can check the syllabus and prepare using that. An Excursion in Mathematics, Bhaskaracharya Pratishtan (Pune). All the candidates are required to reach the venue well in advance. It is necessary to report half an hour before the commencement of the exam. The list of the examination centre is given below. There is total 22 examination centre allotted for the conduction of the CMI Examination. The candidates are advised to go through the complete list of the examination centre given in the table below. A substantial number of scholarships will be available, consisting of a full waiver of the tuition fees. The number of scholarships will be roughly equal to the number of students admitted in recent B.Sc/M.Sc batches. In addition, a limited number of fellowships will be available, with a monthly allowance of Rs. 5,000 for B.Sc programme and Rs. 6,000 for M.Sc. PhD Candidates will get a stipend of Rs 25000 per month for the first two years and Rs 28000 per month for the next three years, along with an annual book grant of Rs 10000. The placement provided to the candidates for each B.Sc course with specialization in a particular subject is given below.